Chicken salad recipes are pretty straightforward - diced chicken in some kind of dressing. But with a few special ingredients, you can put together something really tasty and unusual. The first recipe is one of my all time favorites and really easy if you buy a roasted chicken from the grocery store. All you have to do then is slice up the chicken and veggies, whip up the dressing and dinner is ready. Add the spices and whisk until smooth. Combine the salad ingredients and add dressing to taste, mixing to coat all the ingredients. Roll up in lettuce leaves or eat it right out of the mixing bowl. I recommend cooking the chicken and bacon and making the dressing a day ahead of time, and storing in the fridge to let the flavors meld. Finish up with the rest of the ingredients when you are ready for a nice salad. Sprinkle the chicken with the Canadian Steak seasoning, then saute it butter over medium heat until cooked through. Set aside to cool. Cut the bacon strips crosswise into thin strips, and saute over medium high heat until crispy. Pour off excess grease then drain the bacon on paper towels until cool. Place butter in small sauce pan, and melt over low heat. Do not let it get hot. Remove the melted butter from heat and let cool (it should be warm, not hot). Add the egg yolk and whisk until the mixture is smooth and glossy. Add the mayonnaise, lemon juice and salt and whisk until smooth. Combine the salad ingredients and the dressing and mix well. Make the dressing a day ahead of time, and store in the fridge to let the flavors meld. 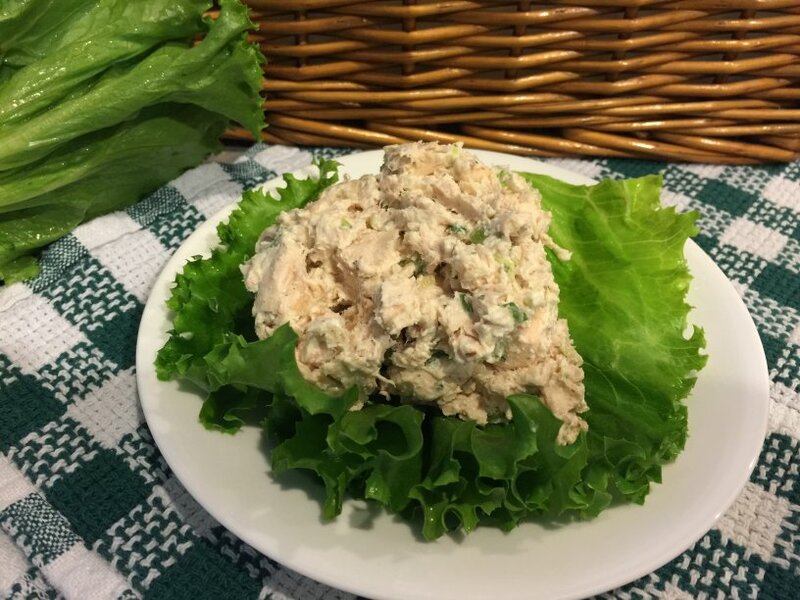 Think of these chicken salad recipes as just a starting point for your imagination. I think the dressing is really what makes these dishes so good. You could add lime juice and cumin to the base recipe for a Mexican taste, for example. The fun is in thinking of new flavors, since chicken goes with just about any flavor combination.